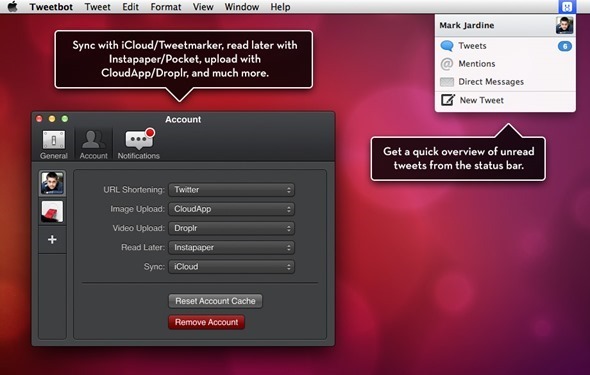 Tweetbot may be best known for its presence on iOS thanks to it being possibly the most popular Twitter app on the platform, but what some may forget is that Tweetbot has also got a home on the Mac after Tapbots brought the popular app across to the desktop. It’s been chugging along nicely ever since, and today received a sizeable update that brings one or two features that will be useful to anyone who happens to be using OS X Mavericks 10.9. The change that catches our eye in particular is the one that means users will be able to quickly reply to tweets using the built-in Notification Center, which might not sound all that earth shattering but if you get a lot of replies on Twitter and don’t want to be pulled away from what you’re working on, then the new quick reply functionality in the new update can be a pretty big deal. Tweetbot may not be the cheapest Twitter client around, but few would argue that it’s not one of the best. If you’re a fan of the iOS version and are using the latest, redesigned app then the Mac client may look a little dated though. 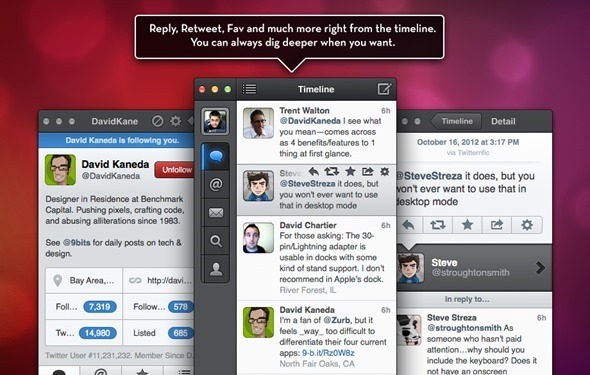 Hopefully Tapbots will get around to bringing the new iOS 7-like look across to the Mac, too. 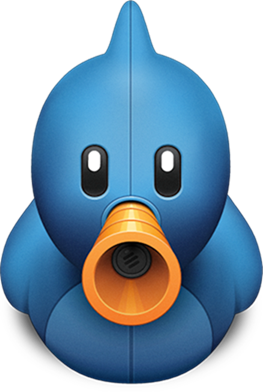 Be sure to give the new Tweetbot 3 for iPhone a shot too.